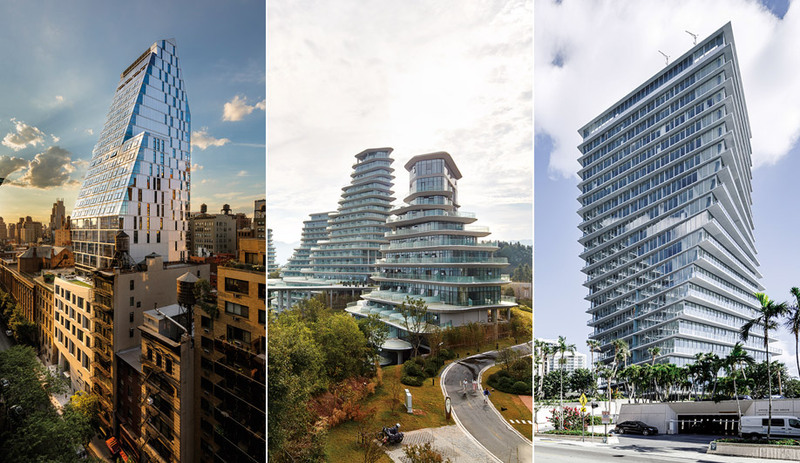 High-rise residential buildings by Bjarke Ingels Group, MAD Architects and FXFOWLE took home Awards of Merit in the 2017 AZ Awards. Superficially a Manhattan residential building, 35XV would be a classic podium-and-tower condo but for the fact that the podium doubles as an addition to the local high school. In return for this community investment, developer Alchemy Properties received partial air rights above the original school, which sits on an adjacent lot. The condo tower is a leaf-shaped polyhedron that cantilevers outward from its base, enabling local firm FXFOWLE to increase the interior space by 40 per cent. 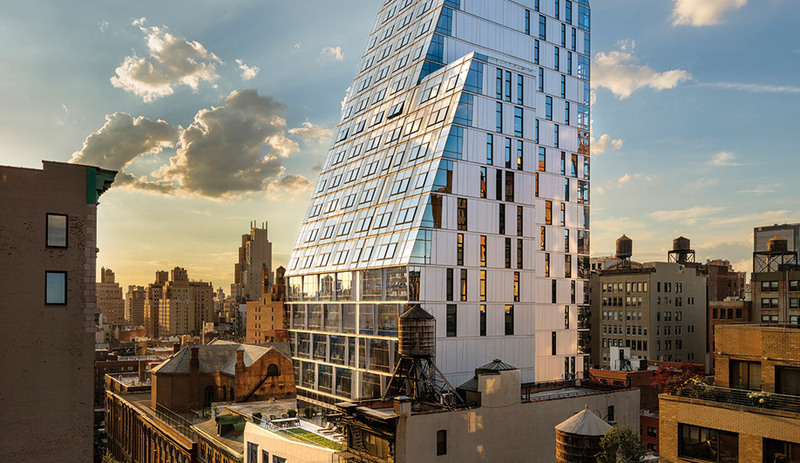 The high school podium – a granite box with a chiseled facade – complements its Flatiron District neighbours, while the tower’s reflective fish-scale glass merges with the sky above. With their dramatic limestone cliffs, the Huangshan mountains of eastern China are the kind of landscape people write poems about. 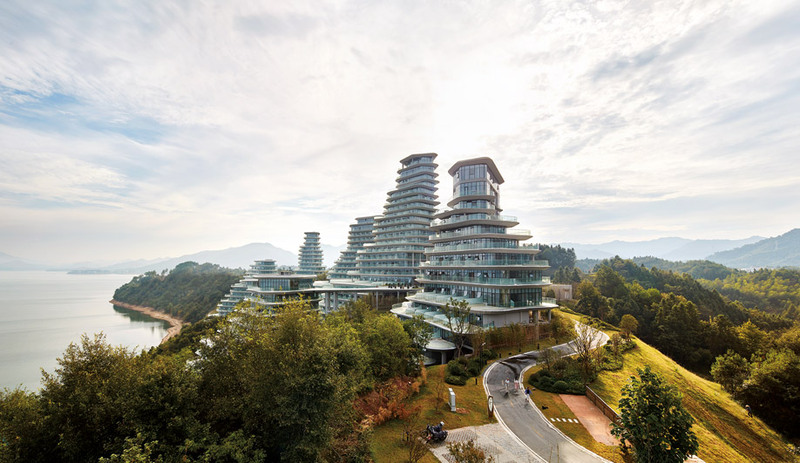 Huangshan Mountain Village, a suite of residential buildings by MAD Architects, blends in perfectly with these surroundings. 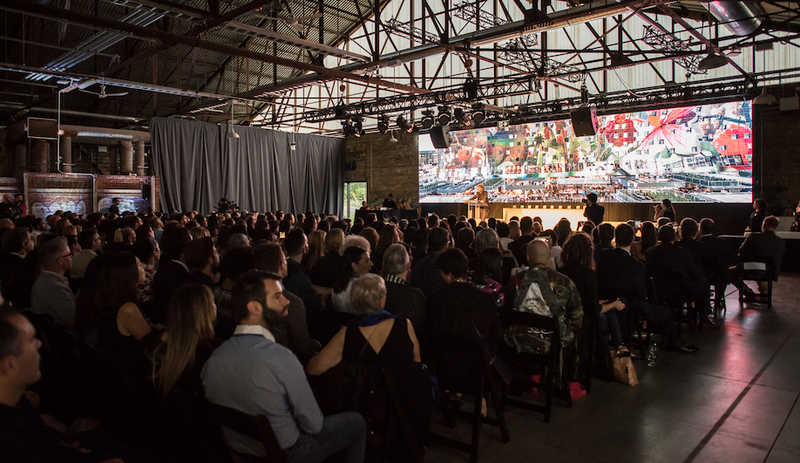 The structures’ profiles resemble mounds of sediment, like stalagmites or hoodoos; on each level, the rounded, irregularly shaped floor plates extend past wraparound windows, creating 360-degree balconies. Taken together, the sculptural peaks form a balanced composition that’s as stunning to look at as it is to look out from. 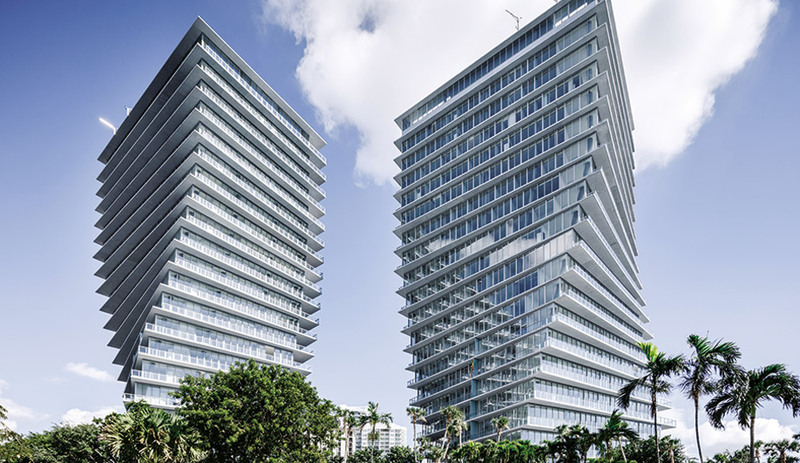 This pair of high-rises evokes Miami’s distinctive vernacular, but with a twist – a literal one. The Bjarke Ingels Group project is the first in the U.S. to use the “twisted tower” typology more often seen in the flashier parts of Asia. Slanted concrete columns create a corkscrew superstructure, but the vertical elevator cores are reinforced with thick steel plates to resist torsion and hold the buildings together. To integrate them with their setting, the firm incorporated such local elements as projecting brise-soleil balconies, floor-to-ceiling windows and a topographic stone landscape richly carpeted in native flora.